Bob Marley was a Jamaican singer-songwriter and an active member of the Rastafari movement. His faith was an integral part of his career and he is even regarded as a sort of Rastafari prophet. 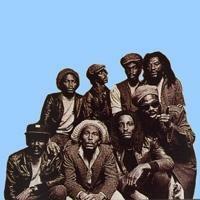 Bob Marley is the most important and popular personality in reggae music. He was the first Jamaican artist to achieve international fame, introducing the music of his country to ever corner of the world. His best work was when he was a member of the band The Wailers. This ranking lists all his studio albums. Participate and vote for your favorites!